The Cultural Foundation of Harrison County announces that tickets are now on sale for Season 3 of the Grand Performances Series. The Cultural Foundation is also pleased to announce that all 2018 – 2019 season performances will take place in the newly remodeled Robinson Grand Performing Arts Center. 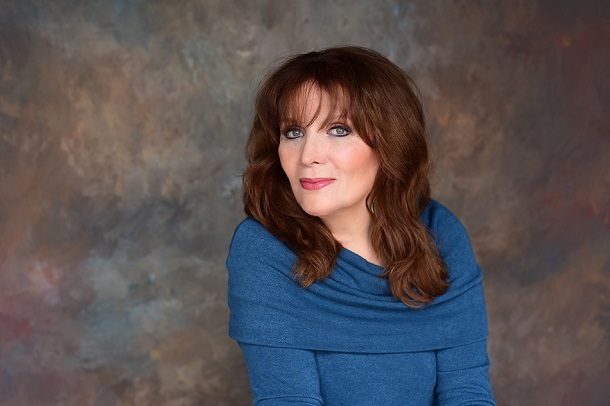 The season launches on Sunday, September 30, 2018, with a performance by multi-GRAMMY nominee, Broadway and recording artist, Maureen McGovern. Season tickets and individual tickets for all Grand Performances events are now on sale. Season tickets for all four events will be $100 (plus taxes and fees) and $80 (plus taxes and fees) for seniors and students, a significant savings over individual ticket pricing. Individual show tickets are available for $35, or $30 for seniors and students (plus taxes and fees). By purchasing a ticket, patrons are also supporting the arts in Harrison County. The Grand Performances series, which consists of four performances, helps to fund the Cultural Foundation’s Community Arts Grants, which are awarded to approximately twenty arts organizations in the county, and other programs. Each year, the Cultural Foundation reviews available entertainment and strives to select the best quality entertainment for the community. Performances also include educational components, when possible. Season 3 of Grand Performances will also feature Five Sax, a modern-style international saxophone quintet performing a repertoire rooted in classical music, venturing into American jazz, South American Latin styles and European folk music, on Sunday, October 14; Vox Fortura, a powerhouse display of vocal panache and sheer class, on March 17, 2019; and The Abrams, fourth-generation musicians with a distinct Americana/Country sound, on April 28, 2018. The brothers are among the youngest performers to play the Grand Ole Opry. The Grand Performances series is funded by a generous bequest from Barbara B. Highland, who was a significant supporter of the arts. In addition to funding Grand Performances, the Barbara B. Highland Fund for the Arts also sponsors the Wheeling Symphony performance held around the 4th of July at the Clarksburg Amphitheater and other public performances. The Barbara Highland Fund for the Arts also accepts grant applications to fund community art projects. Tickets are available at https://tickets.therobinsongrand.com. Special box office hours will be held at the Robinson Grand Performing Arts Center on September 11th through 21st from 11:00 am to 2:00 pm for those who do not wish to purchase tickets online.